The Capitol Comedy Hour features premier comics from around the region performing longer sets than the typical showcase - from 15 to 30 minutes. The Green Room at The Rigby Pub and Grill is the perfect room for great comedy: intimate yet high-energy. If you're looking to have a great Friday night, look no further. See you there! Esteban Touma. Always fun and good-natured, Esteban's comedy comes from the perspective of a part Palestinian/part Latino living in the United States. However, he would never dare to openly criticize or otherwise engage in political activities that may compromise the values of his host country, and thus risk delays, processing fees, or even deportation. 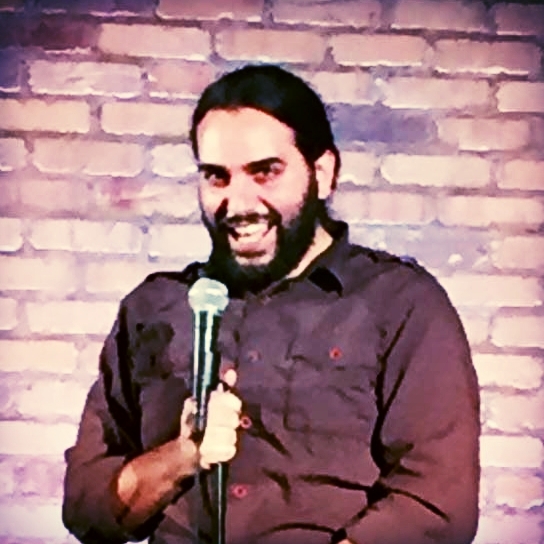 Esteban has been featured on NPR and Wisconsin Public Radio, opened for Nick Thune, Rory Scovel and others, two-time finalist in Madison Funniest Comic. Rich D'Amore. Comedy is The Therapy! Rich is a dad so that's most of where his energy and angle come from. In the end, his goal is to try to get everyone to forget their troubles and just laugh. RIch has opened for Ron Funches, Daniel Sloss, Jackie Kashian, Pete Correale. He splits his time between the Madison and Milwaukee comedy scenes, but is quickly becoming known throughout the region. Adam McShane. Adam McShane: Runner up in this year's Madison's Funniest Comic, Adam's performance aims to give audiences a structured version of his odd daily musings that most consider unfit for a response. Besides his second-place showing at this year's Madison's Funniest Comic, Adam has opened for Gary Gulman, Brian Posehn, and Michael Che, and is a local favorite at the Comedy Club on State.